SOS Recovery Community Organization (SOS RCO) is pleased to announce it is the first Recovery Community Organization (RCO) in the United States to receive an “exemplary” level of accreditation from the Council on Accreditation of Peer Recovery Support Services. SOS RCO is the tenth RCO in the country to achieve accreditation and the second in NH. Until now, no other RCO has received the CAPRSS designation of “exemplary” which is the highest possible level and includes a 5 year accreditation. 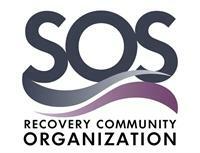 SOS Recovery Community Organization is a peer led recovery community organization with two recovery community centers. SOS opened the first recovery community center in Rochester at 63 S. Main St in August of 2016 and they opened a second one in Dover at 4 Broadway opened in April of 2017. SOS RCO provides a variety of peer recovery supports including meetings, peer recovery support services such as recovery coaching and telephone recovery supports, crisis navigation and a variety of activities such as yoga, art in recovery, music in recovery, and social activities. The Council on Accreditation of Peer Recovery Support Services (CAPRSS) is the only accrediting body in the US for recovery community organizations (RCOs) and other programs offering addiction peer recovery support services (PRSS). The CAPRSS accreditation review consists of self review, peer review and committee review. Combined, these help to ensure that accredited organizations will have institutional integrity (clear purposes, high levels of integrity, fiscal stability, systems to fulfill its purposes), PRSS effectiveness (clear and appropriate objectives & design, process of review, collection and use of data that ensure environment for recovery), and sufficient capacity to sustain quality over time. Principles: Elements that are often seen as intangible—principles, culture, and climate—and yet are known to have a significant impact on organizational success. People: People are the heart of peer recovery support services program; this area helps PRSS programs to examine how peer leaders and peer supervisors are recruited, oriented, trained, supervised, and developed, and policies needed to ensure a good environment for all staff—volunteer and paid. Practices: Organizational practices that are critical for organizational stability and success. Performance: Capacities that programs have to help people achieve and maintain recovery. There are 30 core standards within these four focus areas and four levels of outcomes that include: non-accreditation, provisional accreditation, standard accreditation and exemplary accreditation. To receive an exemplary accreditation an RCO must exceed standards in at least 25 of the 30 core standards. The mission of SOS RCO is to reduce stigma and harm associated with substance use and misuse by providing safe space and peer-based supports for people in all stages of recovery. The vision of SOS is one that envisions a world where recovery from addiction to alcohol and other drugs is possible and widely embraced through low-barrier access to inclusive and respectful support, and where all who seek long-term recovery have access to the care and resources they need to achieve their self-defined goals. SOS RCO is a program of Goodwin Community Health, a non-profit 501c3, federally qualified health center based in Somersworth NH. Goodwin Community Health has been consistently delivering affordable, high quality care and services for nearly 50 years in Strafford County and serves over 9000 patients with over 32000 visits each year in Somersworth.